Thank you for visiting my personal page and wanting to learn more about me. I’m a small business and life coach who became a corporate escapee after nearly 20 years in the corporate world. During my fourteen years as a manager and rise to vice president of a large national bank, I acquired comprehensive and diverse business skills, primarily working in information technology. During that time I realized my innate people skills and passion for helping people succeed contributed to my success. Eventually I wanted more meaningful work and to have more direct impact on people’s lives. That led me to become a “corporate escapee”, a certified coach, and start a coaching business. I knew my new career would be meaningful, but had no idea just how much that choice would enrich my life. A blessing in my life is being a mother and a grandmother. What a joy it’s been to watch the older ones grow up while adorable little ones come into the family. I was born in Portland and have lived in the area most of my life. Although I’ve lived close to my birthplace, I thoroughly enjoy travel, both domestic and international. I’m especially fond of the tropics where I’ve enjoyed not only rest and relaxation but snorkeling, scuba diving and sailing. With more than a bit of spontaneity in my personality, my passport is always current and ready for the next adventure. True to my desire to help others, in 2015 I closed my business, took a year-long sabbatical, and traveled to Tanzania, Africa. For a year I worked on the slopes of Mt. Kilimanjaro with Make A Difference, a non-profit with an orphanage educating and caring for 22 beautiful orphans and vulnerable children. I can’t begin to tell you the meaning this brought to my life to work with these children and celebrate the four oldest ones graduating from high school. I’m naturally a constant learner who likes to read, research, and learn in other ways. It’s not only enjoyable but has been extremely valuable as a business owner. My favorite subjects are health, business, spirituality, and women. Not only does my learning support me and my business, but it organically benefits my clients too. 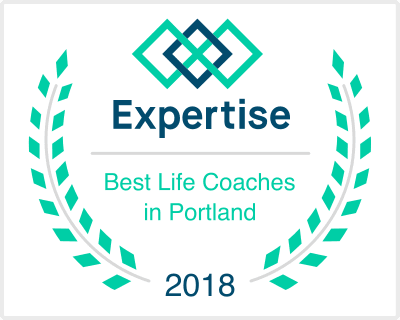 My Professional Coach Certification was earned at The Centre for Coach Training in Portland. I received a degree in Computer Programming from Clark College and continued studies in business at Portland State University and Linfield College. My professional development continues through reading, training programs, and professional associations.